Following on from their impressive one-point victory over London last weekend, Limerick have maintained their one hundred percent record with a comfortable victory over near rivals Waterford a team they have not lost to in the league since 2012. From the get go Limerick were always in cruise control and were very well deserved with their four-point lead at the interval. Credit must go to Waterford as no matter how hard they tried it just wasn’t enough on the day. 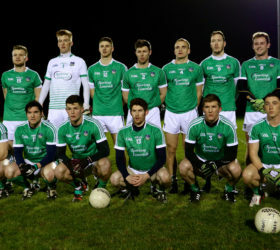 Limerick Panel Donal O’ Sullivan, Sean O’ Dea, Gareth Noonan, Paul Maher, Colm Mc Sweeney, Ian Corbett, Cillian Fahy, Darragh Treacy, Tommie Childs, Peter Nash, Jamie Lee, Davy Lyons, Sean Mc Sweeney, Patrick Begley and Seamus O’ Carroll.